GCAM (Green Cross America), GC’s U.S. offshoot, said Tuesday that it has opened a new plasma collection center in Brownsville, Texas, which can produce up to 100,000 liters of raw plasma per year. 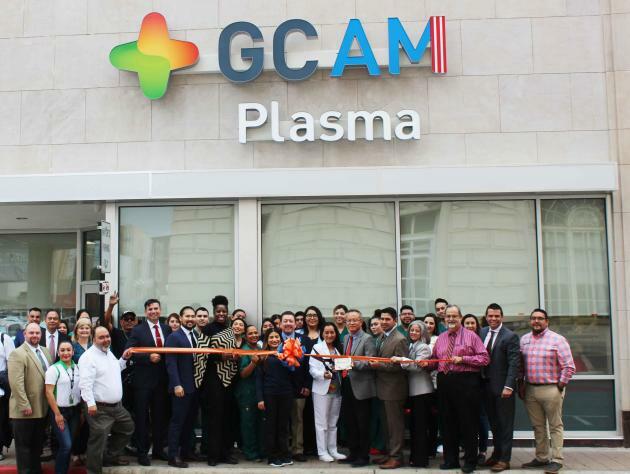 GCAM staffs celebrate the opening of the new plasma collection center in Brownsville, Texas, Tuesday. Human plasma is a vital source of products for treating patients suffering from many life-threatening disease and conditions, including immune deficiencies, hemophilia, and other blood disorders. With the latest additions, GCAM now runs 10 plasma collection centers in the U.S., supplying 550,000 liters of raw plasma annually. GC plans to increase the number of plasma centers further with the operation of its Canadian factory, which the company intends to use as a production base for North American blood products.